Pyongyang, June 18, 2014 20:58 KST (KCNA) — The DPRK decided to reorganize the Ministry of Foreign Trade as the Ministry of External Economic Affairs of the DPRK by merging the Joint Venture and Investment Commission of the DPRK and the State Economic Development Committee of the DPRK with it. The Presidium of the DPRK Supreme People’s Assembly promulgated a decree in this regard on Wednesday. We think this is a good thing. Investor agreements, ‘exclusive’ rights and attraction need to be streamlined to prevent multiple ‘exclusive’ rights being sold. While this can bureaucratize the investment process, things really can’t get more bureaucratic than it is now in North Korea. The KCNA did not report on the new ministry’s specific status or duties, nor reveal the name of who has been chosen to lead it. The three organizations that have been combined to create the Ministry of External Economic Affairs are all Cabinet-affiliated economic groups. The Ministry of Foreign Trade and the Joint Venture and Investment Commission were previously responsible for the nation’s foreign trade and attracting foreign capital, respectively. The State Economic Development Committee, which had its status elevated from the State Economic Development Board in October 2013, oversees the establishment and management of the various regional economic development zones (EDZ). It appears that although the three agencies targeted for the merge were separated by name according to their respective domains, there are several aspects of their duties which overlap with one another. Therefore, the creation of this new Cabinet-affiliated ministry can be interpreted as an attempt to reach a breakthrough in North Korea’s stagnating international economic cooperation. In May 2014, Foreign Trade Minister Ri Ryong Nam visited Syria and discussed plans to invigorate mutual investment and economic cooperation between the two nations not only through trade, but through agriculture and various other methods. On May 12, Ri Song Hyok, the director of the Joint Venture and Investment Commission, announced a development plan for the Wonsan-Kumgang Special Tourist Zone at an investment briefing in Pyongyang aimed at attracting foreigners. The management of Special Economic Zones (SEZ) is the responsibility of the State Economic Development Committee. In 1998, the Ministry of Foreign Trade was established and encompassed the entirety of North Korea’s international economic activities. However, in July 2010, the Joint Venture and Investment Commission was created and oversaw the attraction of foreign capital, and in October 2013 the State Economic Development Committee was established to develop North Korea’s SEZs. With the creation of these additional organizations in 2010 and 2013, it became inevitable for the work and responsibilities of each agency to overlap one another. While the Kim Jong Un regime has been focusing its efforts on attracting foreign capital and developing SEZs by strongly supporting the two recently established committees, the Ministry of Foreign Trade was unable to operate properly due to international sanctions. This has led to the recurring observation that, in reality, the ministry has become a titular institution. The establishment of the Ministry of External Economic Affairs can be seen as a measure taken to increase the efficiency of decision-making and implementation of foreign trade-related issues, and to put an end to the confusion and inefficient inter-competition that arose out of the creation of these additional agencies. From the start of his leadership, Kim Jong Un stressed “constructing a strong economic nation” as a top national goal; attraction of foreign capital and international economic cooperation has become the vital factor to achieve the desired rapid economic development, for the lack of internal resources. The newly appointed Foreign Minister Ri Su Yong—at the 1st session of the 13th SPA in April 2014—is well-versed in economic affairs. His appointment appears as a strategic move to increase the importance of economic cooperation within North Korea’s diplomatic relations. Ri Su Yong was chairman of the Joint Venture and Investment Commission from 2010 to 2012. With the establishment of the Ministry of External Economic Affairs, which will oversee all of the nation’s foreign economic activities, it is expected that North Korea will steadily push to attract additional foreign capital and develop special economic zones. Here are previous posts on the Ministry of Foreign Trade, the Joint Venture Investment Commission (JVIC), and the State Economic Development Committee (SEDC). What are the opportunities? 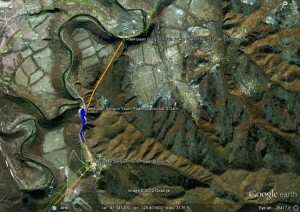 Rason port, Iron Silk Road (Rail), Kaesong Industrial Complex, gas pipeline. Russia and North Korea have signed a new protocol to transition to using the ruble for payments between the two countries as part of an effort to boost annual bilateral trade to $1 billion by 2020, Russia’s Far East Development Ministry said Friday. The announcement came as Russian officials have expressed a desire to explore new markets for the country’s businesses, following the introduction of sanctions by the West in reaction to Moscow’s stance over Crimea. Russian leaders have simultaneously reassured international investors the country remains open for business, and there are no plans to restrict international commerce. The parties agreed to move towards settling payments in rubles as well as adopting further measures to boost bilateral trade, including easing visa procedures and providing for Russian access to proposed special economic zones in the country, the ministry’s statement said. The ministry reaffirmed the countries’ mutual interest in joint projects with South Korea, including international connections for railways [Iron Silk Road], gas pipelines and power lines. The two sides identified areas for further cooperation, including a transshipment complex at the port of Rason and technical cooperation for the modernization of North Korea’s mining sector, automobile industry and electric power plants. The next meeting of the bilateral commission is scheduled for June in Russia’s far eastern Vladivostok. North Korea and Russia have agreed to boost economic ties by pushing for trilateral projects involving South Korea, including a plan to support Russian companies’ entry into an inter-Korean industrial complex, a media report said Saturday. The agreement between the two was made earlier this week when Russia’s Far East Development Minister Alexander Galushka visited the North for a five-day run until Friday to explore ways to boost bilateral economic cooperation, according to the Russian news agency RIA Novosti. “The Russian delegation proposed the entry of Russian businesses into the Kaesong Industrial Park, a special economic zone in North Korea just north of Seoul where South Korean companies are allowed to employ northern workers,” the RIA Novosti reported, citing the ministry. Officials of Seoul’s unification ministry, which handles inter-Korean affairs, welcomed the agreement between the North and Russia, while stressing the importance of Russia’s prior consultation with the South. 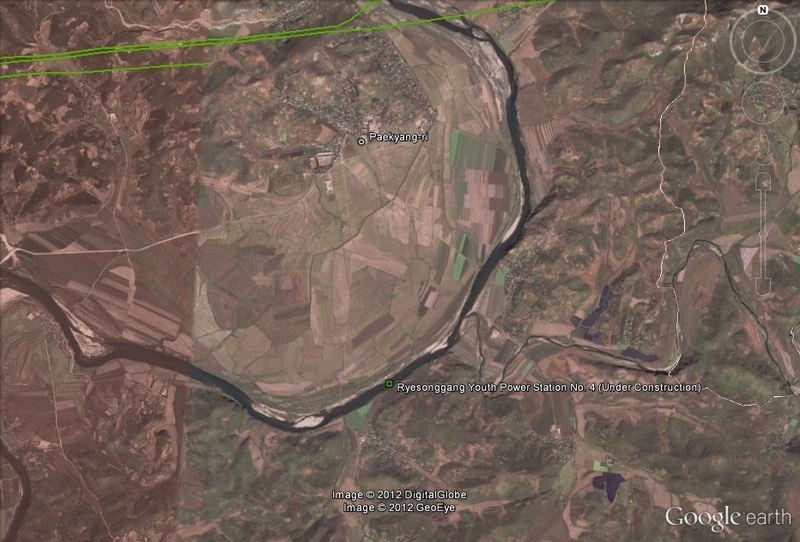 “Russian companies’ making inroads into the Kaesong park is desirable in terms of the internationalization of the complex … It would also prevent the North from unilaterally reversing its agreement with Seoul over the Kaeesong operation,” the ministry official said, requesting anonymity. Internationalization of the enclave, a symbol of inter-Korean detente, is one of the key topics for inter-Korean meetings aimed at ensuring its normal operations and further invigorating the complex. The Kaesong park resumed operations in September, more than five months after the North unilaterally closed it in anger over Seoul-Washington joint military exercises. “But it is crucial for Russia to discuss the matter with our side first as it is basically operated by the South Korean authorities,” he added. A handful of companies from China, Australia and Germany have so far expressed interests in making an investment in the Kaesong complex, prompting the Seoul government to review holding joint presentation sessions with the North to lure investors from overseas, according to another ministry official. Russia exported US$21.16 million’s worth of jib cranes, machinery used mostly for cargo handling at ports, to North Korea last year, accounting for nearly 22 percent of its total exports to the North, according to the report by the Korea Trade-Investment Promotion Agency (KOTRA). The amount surpasses that of Russia’s traditional export goods such as coal, petroleum and bituminous oil. There were no records of the machines being exported to North Korea the year before, with the 2011 amount standing at $139,000. North Korea and Russia maintain economic relations that include a project that would make North Korea’s northeastern port city of Rajin a logistics hub by connecting it to Russia’s Trans-Siberian Railway. North Korea is said to have agreed to a long-term lease of the No. 3 dock at Rajin port to Russia and that it is modernizing facilities there. The cranes may be for such modernization efforts, the KOTRA report said. Also noteworthy is Russia’s exports of ambulances to the North, amounting to approximately 10.1 billion won ($9.45 million), the fourth largest in terms of value. Ambulances are a relatively new product on the trade list. Pyongyang, March 26 (KCNA) — Pak Pong Ju, premier of the DPRK Cabinet, met Alexandr Galushka, minister of the Development of Far East of Russia who is chairman of the Russian side to the Inter-governmental Committee for Cooperation in Trade, Economy, Science and Technology between the DPRK and Russia, and his party. He had a friendly talk with them who paid a courtesy call on him at the Mansudae Assembly Hall on Wednesday. Pyongyang, March 26 (KCNA) — Minutes of talks on cooperation in trade, economy, science and technology between the governments of the DPRK and Russia were signed here Wednesday. Present at the signing ceremony were Ri Ryong Nam, minister of Foreign Trade who is chairman of the DPRK side to the Inter-governmental Committee for Cooperation in Trade, Economy, Science and Technology between the DPRK and Russia, and officials concerned, Alexandr Galushka, minister for the Development of Far East who is chairman of the Russian side to the Inter-governmental Committee, and his party and Alexandr Timonin, Russian ambassador to the DPRK. Ri Ryong Nam and Alexandr Galushka signed the minutes of the talks. The UN Framework Convention on Climate Change CDM Executive Board recently issued certified emission reductions for the DPRK’s clean development mechanism projects. Today many countries make great efforts to reduce greenhouse gas emissions as part of the worldwide bid to prevent global warming, the root cause of climate change. The DPRK also proactively joins in the international efforts. It signed the Kyoto Protocol, which took effect in 2005, and joined the Paris agreement on climate change signed by 174 countries in August this year. The agreement, adopted at the UN Conference on Climate Change in Paris in 2015, is aimed at reducing the world’s greenhouse gas emissions to the maximum so that the global average temperatine would not rise more than 2 degrees over that in the 1850s, the pre-industrialization period. As a signatory to the Paris agreement, the DPRK has worked out 2024 and 2030 greenhouse gas reduction plans and pushed ahead with them. In keeping with the trend when the sales of carbon dioxide emission rights have emerged as CDM and CDM activities are brisk in the world environmental protection market, a non-permanent CDM committee has been set up in the Cabinet and the General Bureau for Cooperation with International Organizations of the Ministry of External Economic Relations plays the role of its secretariat. While coordinating all CDM project activities in the country, the secretariat also undertakes issuance of CERs for various CDM project activities on the basis of agreements on cooperation for the development of CDM projects with CER buyers, Topic Energo of the Czech Republic and Ohana LLP, Britain. In the course of this, several projects were registered as CDM projects by the CDM Executive Board. They include Ryesonggang Youth Power Station units 3, 4 and 5, Hamhung Youth Power Station unit 1, Kumyagang Power Station unit 2, Paektusan Hero Youth Power Station unit 2 and package projects for “Treatment of waste water from chemical factories in the DPRK” and “Collection and use of methane gas from coal mines in the DPRK”. The secretariat ensured that Paektusan Hero Youth Power Station unit 2 and Ryesonggang Youth Power Station unit 4 obtained CERS for the first time after receiving international certification for their power generation in May. Their CERs issued amount to 15 800 and 27 807 tons respectively. The secretariat now works to achieve international certification of other registered CDM projects. Kumchon, November 27 (KCNA) — Ryesonggang Youth Power Station No. 4 went operational. President Kim Il Sung indicated the orientation of building the power stations on the Ryesong River. Leader Kim Jong Il visited the construction sites several times, setting forth tasks and ways for the construction and bestowing loving care and benevolence on the builders. Marshal Kim Jong Un appreciated the achievements of the people in North Hwanghae Province when he visited Ryesonggang Youth Power Station No. 1. He not only took measures for finishing the construction of Ryesonggang Youth Power Station No. 2 by the concerted efforts of the army and people but also led the construction of Ryesonggang Youth Power Station No. 4. The completion of Ryesonggang Youth Power Station No. 4 is another success in implementing the behests of Kim Il Sung and Kim Jong Il to settle the acute shortage of electricity in the North Hwanghae Province by building power stations on the Ryesong River. It also helped lay a more solid foundation for developing economy and improving the living standard of the people in the province. The completion ceremony took place on Thursday. Present at the ceremony were Tong Jong Ho, minister of Construction and Building-Materials Industry, Pak Thae Dok, chief secretary of the North Hwanghae Provincial Committee of the Workers’ Party of Korea, and others. Here is KCTV footage (7:21). Here is UNFCCC data. UPDATE 12 (2012-12-13): Robert Winstanley-Chesters has some additional data here. UPDATE 11 (2012-11-25): The DPRK has registered four more power plants with the UNFCCC CDM project. The UNFCCC documents on the registration of the power plant can be seen here. Total installed capacity of the project will be 14 MW, consisting of two sets of 7 MW hydropower turbines and associated generators. According to the UN documents, the project is expected to be put into operation on January 1, 2014. 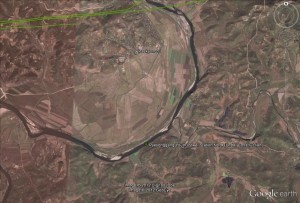 Pictured Above (Google Earth): The approximate location of the Ryesonggang Youth Power Station No. 4. The installed capacity of the project is 10 MW, which consists of 4 sets of generating facilities with a capacity of 2.5 MW each. The project will generate the electricity energy of 40,030 MWh and supply 38,640 MWh to the WPG in a year. According to the UN documents, the project is expected to be put into operation on December 1, 2012. This facility was last featured on the DPRK evening news on 2012-11-8. See the footage here. The organizations listed on the document are the Kumchon Electric Power Company and Topič Energo s.r.o. (Czech Republic). 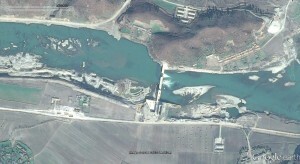 Pictured Above (Google Earth): Construction work on the Ryesonggang Youth Power Station No. 5. The installed capacity of the project is 10 MW, which consists of 4 sets of generating facilities with a capacity of 2.5 MW each. The project will generate electric energy of 41,150 MWh and supply 40,616 MWh. Organizations listed in the document include the Kangdong Hydro Power Construction Company and Topič Energo s.r.o. (Czech Republic). According to the documents, the project is planned to be put into operation on May 1, 2012. 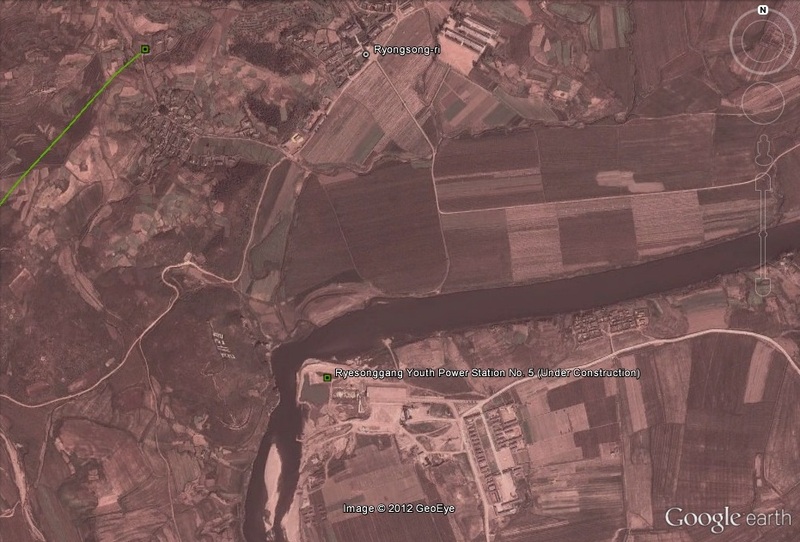 The most recent Google Earth satellite imagery is dated Spetember 5, 2011 and the last time the project was featured on North Korean television was November 5, 2011. I am skeptical that the project was finished on time since the opening of the dam has yet to be announced publicly. Pictured Above (Google Earth): Construction work on the Ryesonggang Youth Power Station No. 3. Organizations listed in the document include the Tosan Electric Power Company and Topič Energo s.r.o. (Czech Republic). Though the plant is supposed to go into operation on July 1, 2012, the most recent Google Earth imagery from 2012-11-8 shows the plan remains uncompleted. The last time the plant was featured on North Korean television was 2011-6-25. Here is the official UN web page containing all of the technical information. KCTV footage dated 2014-9-16 shows a completed Kumya Hydro Power Plant (AKA Kumyagang Power Station No. 2). See the footage here. 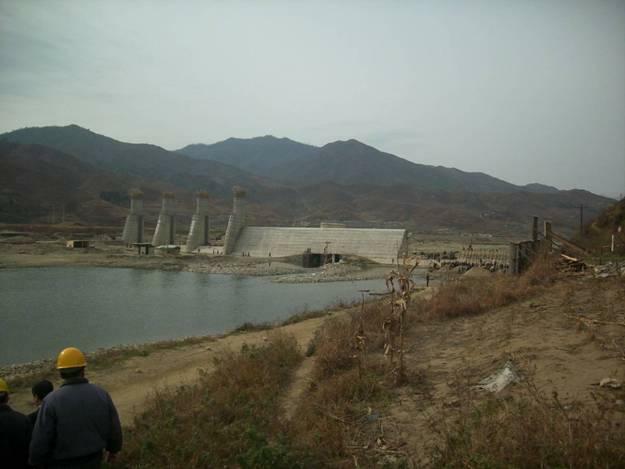 A valued reader notified me this morning that the DPRK’s first CDM project was registered in July: The Hamhung Hydro Power Plant No.1. You can read more about the project on the UN web page here. As I understand it, the CER (the emissions rights) from the plant do not go directly to North Korea but to a Czech company who co-registered the project. It will become operational on January 1, 2013. UPDATE 8 (2012-6-5): In addition to the seven power plants submitted for approval below, the DPRK is involved in several other “Programmes of Activities (POAs)“. You can see all the POAs by clicking here and selecting DPRK as “Host Country”. 1. Naenara, one of the DPRK’s official news outlets, has posted numerous CDM documents. You can see them here. No new information is available on the Hamhung 20MW Hydropower Plant No. 2 (AKA Hamhung Youth Power Station No. 2). So I am unsure what has happened to it. [U]nder the terms of the [Kyoto] protocol, North Korea, as a developing country and a member of the United Nations, has the right to build clean energy projects that may apply for Certified Emission Reductions, or CERs, popularly known as carbon credits. The North Koreans can then sell them to a rich country or company that needs the credits to offset its own greenhouse gases. Dig into data from the UN’s Framework Convention on Climate Change, and you will find seven North Korean projects registered for carbon trading. North Korea is now building seven hydroelecrtric plants, which provide some of the cleanest energy going. Most can earn tradable carbon credits. Blazek says the North Koreans “jumped” at the opportunity to get into carbon trading: “They immediately grasped that this is a way to make money.” Korea’s seven dams may generate as many as 241,000 CERs a year, worth almost €1 million ($1.3 million). “The projects are already in a relatively advanced phase,” says Ondrej Bores, director of carbon advisory services at Virtuse Energy in Prague, who’s worked with Blazek on other deals. Still, selling anything made in North Korea has its challenges. More than 30 potential buyers pulled out because of the U.S. embargo on trade with North Korea. Blazek finally struck a deal with a Chinese-controlled conglomerate that needs credits to offset emissions from facilities in Europe. He won’t name the company, citing a confidentiality clause. The Prague Post also reported on this story. There has been a statement by the 1718 committee (on sanctions) that CDM projects in NK do not violate UN rules. [Seven] hydropower plants did get their validation and underwent a process of “clarifications and corrections” as foreseen by UN rules. After the final report (which might have been already issued or might be issued soon) they will go for final vote to the UNFCCC. Currently, North Korea works on projects as diverse as methane gas from coal mines, bio-gas and electricity-saving light bulbs. UPDATE 4 (2011-7-11): I just checked the UNFCCC web page, and it appears that in addition to the hydro power plants mentioned below, the North Koreans also submitted the “Energy Efficiency Improvement Project in Pyongyang Textile Factory” [sic] for carbon offsets on May 23, 2011. According to the UNFCCC web page, the project is in the portfolio of the Carbon-Trade Division, GBCIO, Ministry of Foreign Trade. On June 25th the DPRK evening news featured footage of the construction of the Ryesonggang Youth Power Station No. 3 (례성강청년3호발전소). I have uploaded the footage to YouTube and you can see it here. On June 28th the DPRK evening news featured footage of the construction of the Ryesonggang Youth Power Station No. 4 (례성강청년4호발전소). I have uploaded the footage to YouTube and you can see it here. North Korea has registered eight hydroelectric plants with the United Nations, and if approved, could allow the world’s most reclusive state to sell carbon offsets to earn precious hard currency. Bernhard Seliger, a messenger for North Korean officials on these projects, said the United Nations uploaded the information on Thursday after he submitted related forms on behalf of the North Korean government’s carbon trade division in late February. 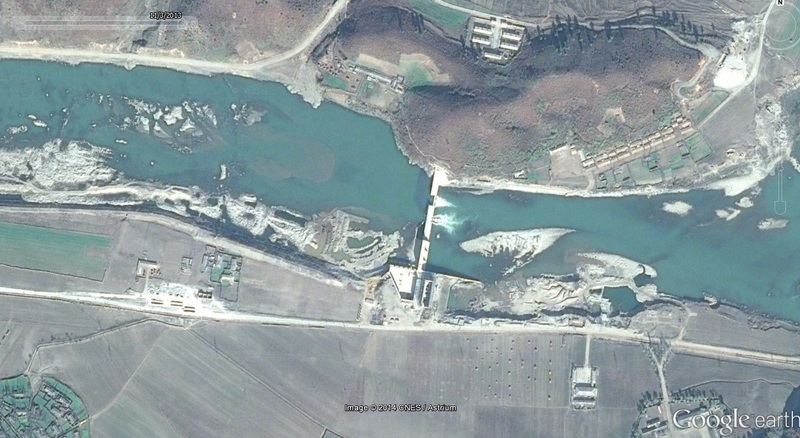 “I have no idea when the U.N. makes a decision… North Korea has to finish the power plants, which up to now are only half-finished dams,” Seliger, Hanns Seidel Foundation’s representative in South Korea, told Reuters via email. Analysts questioned the demand for carbon credits from North Korea, concerned the money might be siphoned off to nuclear arms or other military projects. This list contains all the projects which have already started and for which a notification of CDM prior consideration has been submitted. This notification is necessary to prove that the incentive of the CDM was a decisive factor for taking up the project when a project has started before a project design document (PDD) has been published for global stakeholder consultation or a new methodology in connection with the project has been submitted. However, kindly note that these projects have not yet entered the CDM project cycle as lined out in the CDM rules, requirements and procedures, and to submission for registration has yet been made. North Korea hopes to earn much-needed hard currency by selling UN-backed carbon offsets from a series of hydro-power projects, as the country faces sanctions over its nuclear weapons programme. If approved and registered by the UN, these would be the first projects for North Korea under a scheme called the Clean Development Mechanism (CDM). This allows developing countries to earn tradeable carbon credits for emissions reductions from clean-energy projects. Some analysts questioned the demand for carbon credits from North Korea, with fears the money might be siphoned off to nuclear arms or other military projects. The government has asked the Hanns Seidel Foundation of Germany, which focuses on humanitarian issues, to act as a go-between by working with UN-approved verification agency TUV Nord. According to Bernhard Seliger, the foundation’s representative in South Korea, North Korea is initially looking at trying to get approval for three hydro power plants of 7-8 megawatts (MW). Seliger visited the three hydro-plant construction sites in the north-east corner of the country in January. In a statement, TUV Nord confirmed the foundation had engaged their services. “In this respect, TUV Nord intends to verify hydropower dams in North Korea once pre-registered with United Nations framework conventions on climate change [UNFCCC] via the Beijing branch of its Chinese subsidiary TUV Nord Guangzhou,” it said. If registered, the plants could yield millions of euros over several years. Beijing-based lawyer Tom Luckock, who specialises in projects that curb greenhouse gas emissions, estimated that an 8 MW hydro plant could yield about 23,000 UN offsets a year. The offsets, called Certified Emissions Reductions (CERs), are generated from registered CDM projects, such as wind farms, that are rewarded for reducing greenhouse gas emissions. The offsets currently trade at nearly €12 (£10) each and are bought by governments in rich nations that need to meet UN emissions reduction targets. Europe is the biggest buyer, with large polluting firms allowed to buy the offsets to meet a portion of their emissions reduction targets under the EU’s emissions trading scheme. “Finding ways to secure foreign currency is the priority for North Korea, which is linked to everything from food to raw material imports to boost reduced productivity,” said Cho Myung-chul, a senior researcher at the Korea Institute for International Economic Policy. Seliger said North Korea, which signed the UN’s Kyoto Protocol climate pact in 2005, was also interested in biomass power generation projects under the CDM. The UN-approved national agency that assesses and approves CDM projects in North Korea was not available for comment. Questions remained on demand for North Korean CERs. “Even if they open up, who in the world wants to pay for North Korea that is blamed for its nuclear weapons programme?” said Choi Soo-young, a senior researcher at the Korea Institute for National Unification. Another challenge is that North Korea would have to make public its energy consumption and generation data and disclose information on the amount of energy linked to the hydro project. “Annual inspection, constant measurement and energy flow posting on the [UNFCCC] website – all these things are new for North Korea,” Seliger said. “We are talking about eight power plants, with the smallest size about 7.5 megawatts. These are not big projects but small or medium-sized projects,” Bernhard Seliger told AFP. None has yet been completed, he said. “I saw some (construction) sites in South Hamkyong province but that’s not all. There are other plants in other regions,” Seliger said, adding that some of the projects are led by the UN Development Programme. The Hanns Seidel Foundation has been working since 2003 to build the North’s development capacity, and in 2008 organised a seminar on carbon trading for Pyongyang officials at their request. The tradeable credits, called Certified Emissions Reductions, are awarded for approved clean-energy projects such as hydropower plants or wind farms. Big polluters elsewhere in the world can buy them as part of their efforts to cut emissions. Seliger said his foundation is helping the North to prepare for the auditing process required to join the UN carbon credit trading system known as the Clean Development Mechanism. “One good thing about this project is that it is very transparent, involving monitoring and auditing on an annual basis… I think it is very good for North Korea to participate in such an international regime,” said Seliger. An official at a South Korean state agency, the Korea Energy Management Corp, said registration would take at least a year or two and it was unclear how much the North would be able to earn if approved. The official, who declined to be identified, said a typical eight-megawatt hydropower plant could yield about 19,500 carbon credits each year, each of which was currently traded at 12 euros in global markets. This would amount to around $327,000 a year. But some buyers may shun the communist state, given its history of nuclear and missile development which has led to international sanctions. “Government buyers will certainly shy away from dealing with the North,” said Koo Jung-Han, a researcher at the Korea Institute of Finance. Koo said that countries hoping to buy carbon credits from upcoming overseas projects often encourage investment in the ventures by their own finance companies. The North suffers persistent power shortages even in the showpiece capital Pyongyang. Many rural areas receive power only during key agricultural seasons, and must rely for the rest of the year on alternative fuels, according to a recent policy paper published by the Nautilus Institute think-tank. Here are the web pages for the Hanns Seidel Foundation and the UNFCCC Clean Development Mechanism (CDM) Program. I would like to share some comments on the potential CDM projects in north Korea as i have been working on this field for many years now. To be eligible as a CDM project, one of the first criteria is the additionality of the project. You have to prove (the rules are very strict) that the project would not have been launched without the consideration of the revenues from the reselling of the CERs. So the dams that have already been buit are not eligible. The first step of a CDM project is to notify to the UNFCCC secretariat and to Designated National Authority (in this case the Secretariat of the National Coordinating Committee of Democratic People’s Republic of Korea for Environment) that you are seeking to establish your project as a CDM project. Up to now, no such notification has been received by UNFCCC so it would be quite difficult for projects being implemented to ask for the CDM status (I mean nearly impossible). From the day you send the notification that you are seeking the CDM status to the day you are actually given the status, it takes in average 2 to 3 years (they would have to build the plants during this period). Then it can be at least another year before you receive the CERs. The price of 12 euro for a CER is for secondary market. The price for primary CER (directly sold by the producer) would be much less than 8 euro. The figure of 20 000 CERs/year is completely unpredictable for the moment, here is a simplification of the calculation: One CER is equal to one tonne of CO2 equivalent that would be avoided by producing clean electricity. For example when you produce 1 MW electricity from coal, the process releases X tonnes of CO2 in the atmosphere but when you produce 1 MW from a hydropower plant, you do not release CO2. In order to calculate what the CDM project would be able to claim, we would have to know the CO2 emission factor of the North Korean grid and then multiply it by the amount of MWh produced by the CDM project. 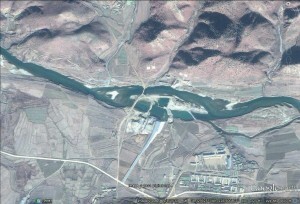 If most of the electricity produced these days in North Korea already comes from hydro-power plants, then the national emission factor will be low and the CDM project will not avoid a lot of CO2 emission (and so not earn a lot of €) Without the capacity of the future project and the national emission factor, it is impossible to estimate the amount of CERs the project could generate. The CDM status seems quiet unrealistic to obtain for North Korean projects but other international agreements are discussed these days and their outcome may be more adapted. Nuclear-armed but cash-starved North Korea has expressed interest in joining the world carbon market in an apparent bid to earn precious hard currency and avoid international sanctions, an expert told RFA. But the secretive Kim Jong Il regime has to disclose critical information, such as energy consumption data as well as methods by which it derives energy, to be eligible for funding under the United Nations’ Clean Development Mechanism (CDM), said the North Korea expert, speaking on condition of anonymity. The CDM is aimed at encouraging companies or organizations in the developed world to invest in carbon dioxide emissions-saving projects in developing countries. In return for funding and technology transfer, investors receive carbon credits, which can then either be traded on carbon markets or used to reduce their own emissions tally if they are subject to a domestic cap. The Kyoto Protocol set emission caps for 38 countries through 2012, establishing the CDM as a worldwide carbon market. It is a cornerstone of the group’s efforts to tackle global warming. The North Korea expert told RFA on Jan. 13 that Pyongyang intended to apply for funding via the CDM and that the regime might list its proposed hydro-electricity power projects under the U.N. mechanism. When contacted on the North Korea move, the U.N. Framework Convention on Climate Change (UNFCCC), the secretariat charged with implementing the global environmental treaty to stabilize greenhouse gas concentrations, said it would refrain from commenting on individual country projects. The North Korea expert estimated that one ton of carbon dioxide would trade for about U.S. $26 dollars and if a hydro-electric power project was registered under the CDM, depending on the carbon credit bid price, about U.S. $1 million dollars could be earned annually. A hydro project registered under the CDM would need to be evaluated by U.N. inspectors for it to qualify for carbon credits. Usually, it would be evaluated continuously for about 14 years. Details, including the amount of energy linked to the hydro project and potential reduction of greenhouse gas emissions, would have to be submitted. North Korea has been mostly reluctant to share information about its energy generation activities. According to the expert, North Korea has recently displayed “great interest” in the possibility of operating hydro-electric power stations to alleviate its domestic energy shortages and to acquire “carbon credits” that it could, in turn, sell on the international carbon market. As North Korea’s economic crisis worsens, Pyongyang is seeking ways to earn hard currency following a failed currency reform and due to sanctions imposed by the international community over its nuclear and missile developments and provocations targeting South Korea. The interest in the CDM is likely to be part of this search. The United States has been pressing China to use its influence to persuade North Korea regime to end recent provocations and return to disarmament talks involving the three countries and South Korea, Russia and Japan. The six-party nuclear talks were last held in 2008. The impoverished North has been seeking a restart to the nuclear negotiations, which propose to reward its gradual nuclear disarmament with phased infusions of economic aid. In a bid to renew dialogue and ease chances of conflict, South Korea recently proposed holding a preliminary meeting with North Korea on Feb. 11 to prepare for high-level defense talks. On Friday, the North suggested parliamentary talks between the two sides. North Korea has reportedly appointed Vice Trade Minister Jo Jong Ho as chairman of a civic committee for Rajin-Sonbong Special City, a major post in the North, to succeed Kim Su Yol, who was dismissed late last year. Jo is a member of a group that supports Kim Jong Un, the youngest son of North Korean leader Kim Jong Il and heir apparent, and reportedly has helped set the North’s new economic policy. Pyongyang has apparently deployed a key member of the power elite among supporters’ groups of Kim Jong Un to an important economic region to lay the foundation for a successful power succession based on economic achievements. The North Korean regime has appointed former foreign trade minister Rim Kyong-man as the mayor of the Rajin-Sonbong Economic Special Zone, which was promoted to a special city in January. A source said Rim was appointed as part of a reshuffle and new regulations for the city. Rim is known as an expert in trade who served as the minister for foreign trade from April 2004 to March 2008, and headed the North Korean trade representatives to Dalian in China. He also toured Africa (June 2005), Latin America (November 2005), Libya and Malaysia (June 2006) and Russia (March 2007) as the leader of the North Korean economic delegation. “It seems that North Korea appointed Rim, who is very experienced in trade with foreign countries, with an aim to further open Rajin-Sonbong as a free trade area,” the source added. ORIGINAL POST: The designation of Rason as a “special city” this week left me a bit confused, but I believe I have sorted it out. “The city of Rason has become a special city,” the North’s KCNA news agency said in a brief dispatch on Monday. North Korea designated Rason, the country’s first free trade zone, as a “special city” on Monday, the North’s official news media reported. North Korea designated Rason and nearby Sonbong, located on the country’s northernmost coast close to both China and Russia, as an economic free trade zone in 1991, though foreign investment has never materialized. According to the Korean Central News Agency (KCNA) monitored here, the Standing Committee of the North’s Supreme People’s Assembly designated Rason as a special city in a decree. So aside from the fact that Rason was named “special” there were no other details given. What does it mean to be a “special city”? Pyongyang, January 5 (KCNA) — Rason City was designated as a municipality. 1. Rason City shall become a municipality. 2. The DPRK Cabinet and relevant organs shall take practical measures to implement the decree. Without seeing any additional information it seems that what has actually happened is that the municipalities of Rajin and Sonbong have been dissolved, merged, or been made subject to a newly created Rason municipal government which controls both cities. So Rajin-Sonbong is dead. Long live Rason. So why would the North Korean government do this? Here is one theory: Since the district was under the direct control of Pyongyang (not the provincial government of North Hamgyong), the DPRK government simply thought that two municipal governments in the special economic zone were one more than was necessary. So this could mean something significant–in terms of the DPRK’s intent to increase foreign trade–or it may not. If anyone else has a better idea please let me know in the comments. 1. Here is a decent story in the AFP which interprets the change as a significant policy signal. 2. Here is a decent story in the Daily NK which offers lots of additional information. Question: I’d like to have a talk with you about the DPRK policy on foreign trade. Would you please tell me about the fundamental of its foreign trade policy? Answer: The DPRK Law on Foreign Trade was adopted by the decision of the Standing Committee of the Supreme People’s Assembly in 1997. Article 2 of the law stipulates that it is a consistent policy of the DPRK to develop foreign trade. The fundamental of its foreign trade policy is to consolidate the foundation of the independent national economy and, on this basis, to expand and develop trade relations with other countries. This foundation provides a material guarantee for promoting foreign trade on the principles of complete independence and equality. If the developing countries, in particular, fail to conduct trade business based on their self-reliant national economy, they can neither construct independent structure of trade nor defend their sovereignty in the end. From this point of view, the DPRK government has consistently maintained trade policy of developing foreign trade on the basis of the independent national economy and further consolidating its foundations through foreign trade. In the past the government has developed heavy industry with machine building industry as its core, light industry and agriculture simultaneously in conformity to the actual conditions of the country and, relying on them, produced and exported goods that are highly competitive in international markets. And it has always ensured that foreign trade serves development of the economy and betterment of the people’s life. Q: What is the principle pursued by the government in foreign trade relations? A: The DPRK government employs the policy of maintaining the principles of independence, equality and mutual benefits, as well as credit-first principle in the relations of foreign trade. The government has so far developed trade relations holding fast to these principles and given active support and assistance to the developing countries in their efforts to establish the fair international economic order. It has put forward the credit-first policy in trade dealings and ensured that all the trading corporations keep credit in their transactions so as to create better climate for foreign trade of the country. It is making efforts to establish rigid discipline that corporations should ensure the superior quality of exports, keep delivery date and faithfully discharge contractual obligations like payment for imported goods. Q: I think the issue of making foreign trade diversified and multifarious also assumes due importance in the foreign trade policy of the government. A: You are right. Article 3 of the Foreign Trade Law stipulates that diversification and variegation of foreign trade constitute a basic way for wide-ranging trade. The State shall ensure to deal with different countries and corporations employing various forms and methods in foreign trade. For the sake of diversification of foreign trade, we pay a primary attention to the neighbouring countries in developing economic exchange and cooperation including trade. It is due to the geographical location and role of our country in the economic development of the Northeast Asia and the rest of the world. And the government executes a policy of expanding the scope of foreign trade to all countries in Asia, Africa, Latin America and Europe in its effort to make foreign trade diversified. Entering the new era, our country intensified the diversified economic exchange and trade transactions with EU member nations. The EU top level delegation paid a visit to our country in 2001. The DPRK-EU symposium was held in Torino, Italy in March 2007 and the 3rd DPRK-EU economic symposium held in Pyongyang in October 2008. These events marked important occasions in the development of economic and trade relations between the DPRK and the European countries. The DPRK government is also carrying out the policy of making foreign trade multifarious in keeping with the developing trend of international trade. It puts a stress on processing trade on the basis of its economic potentialities and up-to-date processing technologies. The government encourages local trading corporations to import raw materials and accessories and to process and assemble them for export in different sectors of the economy such as textile, clothing, machinery and facilities, rolling stocks and electronic goods. We are channeling much effort into the export of technological products like software relying on the development of information industry of the country. Transit trade and consignment trade are also in full swing. Q: What is the highlight in the export policy of the government at present? A: The key issue in the export policy is to improve export structure from the export of raw materials into that of processed goods. The government makes efforts to give full play to the potentialities of existing export bases while building new ones in various sectors, increase the variety and volume of exports and upgrade their quality. It defined the production bases of internationally competitive goods as strategic export industries, and is concentrating its investment on them and paying a close attention to their scientific and technological development. The government takes some measures to encourage the export business of the corporations with a view to increasing export volume of the country. It affords preferential treatments such as loaning from banks and supply of raw materials and power to those export bases and corporations which have cultivated new markets with new items of export or produced and exported hi-tech goods. Besides, the government simplifies export procedures and upgrades services of the export-related institutions so as to carry on the smooth operation of export business of the country as a whole. The DPRK government will continue to promote the impartial and reciprocal economic and trade relations with all countries on the principle of independence, mutual respect and equality. The tariff system in the DPRK contributes to protecting the independent national economy and improving people’s livelihood. The basic aim of the tariff policy in our country is to apply either no or low tariff on materials and goods imported for the acceleration of economic construction and the betterment of people’s life and high tariff on goods that have been or can be produced at home. First, the government builds a tariff barrier against the imports which can be produced in our country. High tariff is imposed on such imports as the goods that the domestic factories and enterprises are now producing or have potentials to produce, the products that are not needed at present in economic sectors, and the goods that are of no direct use for enhancing people’s living standards so as to increase the domestic production capacity and raise the quality of the homemade articles to be competitive in the world markets. Second, the government imposes low or no tariff on the imports which are in short supply or unable to produce at home, i.e. the latest machines and equipment, oil and crude rubber needed for consolidating the foundations of the independent national economy and some of daily necessities that are more profitable to import than to produce at home. It is impossible for each country to produce by itself all things necessary for its economic construction and people’s life because its natural and economic conditions and the level of productive forces differ from those of others. Third, the government holds the principle to introduce advanced technologies in executing tariff system. It imposes no or low tariff on hi-tech products and preferential tariffs on the goods imported by foreign-invested enterprises for the purpose of introducing advanced science and technology. Fourth, the government defined correct criteria for tariff on the imports and is properly applying them. It stipulated appropriate criteria of assessing the price of each variety of the imports pursuant to the regulations for the implementation of the DPRK Customs Law and the provisions of the Customs Law, and is now applying them in keeping with the requirements of the developing reality. Besides, the government has prepared the catalogues of export commodities and the tariff rate table in conformity to the provisions of GATT and exercised tariff system suitable to each phase of development of the national economy, thus further promoting foreign trade and preventing tax evasion and other commercial wrongdoings which exert negative influence upon international markets. Today the DPRK tariff system makes a big contribution to the protection of the independent national economy and the development of foreign trade. North Korea has taken steps to attract more overseas investors by scrapping extra land use fees and introducing selective import rules that can help foreign-owned companies maintain a market share, a Chinese newspaper said Friday. According to the Jilin Newspaper, the official daily of China’s Jilin Province, a North Korean official promoted the new foreign-investor friendly measures during a recent trade exposition held in the city of Changchun. “We revised pertinent laws and regulations so as to relegate land use fees, which have been paid annually by foreign-invested companies to their (North) Korean partners that loan the land,” Yun Yong-sok, a senior official at the international investment department of the North’s Ministry of Foreign Trade, was quoted by the paper as saying at the expo. North Korea’s Radio Pyongyang reported a delegation’s trip to the Chinese expo on Aug. 26. Foreign investors have so far paid annual land use fees to the North Korean government in addition to a one-off lease payment, which will be still levied after the revisions. The measures come as North Korea faces tightening international sanctions over its May nuclear test. The U.N. sanctions ban North Korea’s arms trade, a major source of income for the impoverished country, and closely scrutinize cash flows to the North. North Korea also introduced “state support measures,” such as banning imports of goods that are already produced in adequate quantities within the North by foreign companies to ensure investors’ profits, Yun was quoted as saying. Foreign companies that invest in science and technology in the North will get additional tax incentives, but those who take North Korean minerals, timber or fish abroad will be levied a new “resource tax” to protect the country’s natural resources, Yun added. According to Yonhap (here and here), Friday, November 28, was the last day of the Kaesong day tours (210 tourists made the trip) and the last day the “train to nowhere” made its inter-Korean trip. 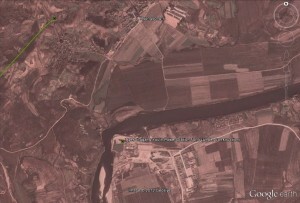 As for the Kaesong Industrial Zone (KIZ)…According to (Bloomberg), on December 1 the DPRK cut the number of “windows” available each day for South Korean vehicles to enter and leave the KIZ from 19 to 6 (though the Donga Ilbo claims just 3), and limited the number of South Koreans allowed in the complex to 880—about 20% of the 4,200 previously permitted to enter the complex. According to the Donga Ilbo, Pyongyang delivered notice at 11:55pm Sunday saying those allowed to stay in Kaesong are 27 staff of the management committee; four from the (South) Korea Land Corp.; 40 from Hyundai Asan Corp.; five at restaurants and living quarters; two at shops and hospitals; and 800 from South Korean companies. Border crossings are also limited to 250 staff members and 150 vehicles each time. As previously discussed (here and here), South Korea and Russia are interested in building oil and natural gas pipelines which would cross the DPRK. If these projects went through, the DPRK government would benefit from construction and “rental” fees—in effect taking a cut of all the energy resources that cross their borders. North Korea, is now telling the Russians that the project is not too palatable at the moment. Still more red than green it seems. North Korean Foreign Trade Minister Ri Ryong Nam, now in Singapore, has urged Singapore companies to invest in the isolated country, the Singapore government said Monday. The North Korean minister “briefed…on economic developments in North Korea and possible investment opportunities for Singapore companies,” in a meeting with Singapore’s former Prime Minister Goh Chok Tong, now a senior minister in the Cabinet, a government statement said. Singapore Foreign Minister George Yeo made a trip to North Korea in May, accompanied by a business delegation, in what was the first official visit to North Korea by a Singapore Cabinet minister. On that trip, Yeo met North Korea’s No. 2 political leader Kim Yong Nam and Ri. You are currently browsing the archives for the Ministry of Foreign Trade category.